POLISHED silk georgette off-the-shoulder caftan. Welcome sizes 0 to 8! Pre-order your favorite styles today! To help you always know your size at OF WHONDER, we’ve simplified our size range. Our sizes, with the exception of our caftans, run from 00 to 3. 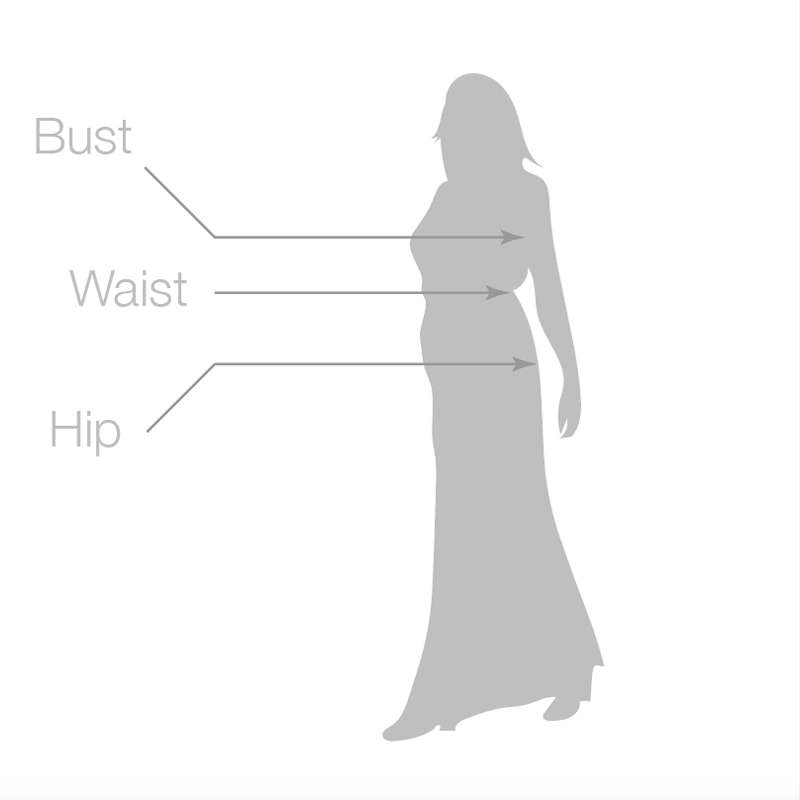 Please refer to the standard US sizes 0-24 in the chart to find your right size and fit. If you want to discuss our sizes further, don’t hesitate to call us at +1 844-WHONDER. These simple tips for easy and accurate measurements will help you find the perfect size for your body. All you need is some flexible measuring tape and a pen to document your measurements. For best results, measure yourself in your undergarments, stand up straight, and keep the measuring tape parallel with the floor. Place one end of the measuring tape at the fullest part of your bust and wrap it around under your arms, across your shoulder blades, and back to the front. Wrap the measuring tape gently around your natural waistline (where your waist creases when you bend to the side). The tape should be loose enough to fit a finger between the tape and your body. Stand with your feet together and run the measuring tape around the fullest part of your hips, usually 8 inches below your natural waistline. Join our community and receive 10% off your first purchase!